Our Georgia wills, trusts, and probate practice assists clients in all matters related to Georgia estate law matters. Our primary goal is to help you make things easier on the loved ones you leave behind, and when the time comes, to handle delicate issues as sensitively as possible. We can assist you with preparing your will or trust, ensuring your beneficiaries experience as little frustration as possible after your death. 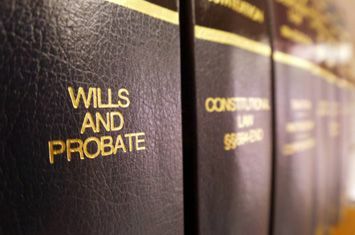 We’ll see your will through the probate process and ensure your last wishes are carried out as intended. When and if an issue should arise regarding probate or the estate of a loved one, we’re here to help. If you are ever unable to make decisions about your health care, we’ll ensure your desires are carried out as you wish by completing the Georgia Advance Directive for Health Care. We treat every one of our cases as the most important we’ve ever handled – because we know you feel that way! This means we customize our services to suit the needs of each client. Not every family is the same, so of course no trust or probate issue is the same. We make it a priority to understand your circumstances and proceed in the best way possible. We’ll guide you through the planning process and ensure your loved ones receive the support they deserve once you are gone. You have options when it comes to estate planning. You might already have a clear picture in mind of how you would like to proceed, or you might need to discuss your options before moving forward. We’re here to answer your questions and explain how the laws in Georgia affect your situation. We know estate planning isn’t always the easiest thing for individuals. And we understand families are dealing with difficult emotions after the loss of a loved one. Our compassionate team of legal experts can help you through these challenges and ensure your family is cared for in the way you intended. For more information or to discuss your estate planning needs, contact us today!